Conjoining the world of Art with Architecture and Culture, UNFOLD Art XChange entices the world’s premier private bankers, financial institutions, government authorities, public art agencies, spatial designers, real estate and hospitality professionals with insights, opportunities and new partnerships as well as attracts corporate collectors, private and public institutions worldwide through a series of Art Talks that will run from the 19th to 22nd of March to coincide with Dubai Art Week. Pierre Gervois, Founder and President of Gervois Hotel Rating, the disruptive hotel rating system that makes Forbes stars and AAA diamonds look old fashioned and tacky, will deliver a speech about the importance of re-assessing the standards of hotel rating, in particular for the new generation of sophisticated travelers who are not impressed anymore by the mere lobby’s size or a 24h room service, but rather by elegance in decoration, truly warm service, and sustainability. Currently rating 120 U.S. properties, highly curated and selected for the quality of their interior decoration and service, Gervois Hotel Rating is the new player in the hotel rating system field that has gone unchallenged for the past 50 years. 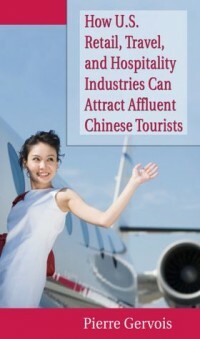 Wealthy Chinese travelers place the United States as their #1 travel & real estate investment destination. GERVOIS magazine, a New York City based magazine, has been selected to be the new preferred global travel publication of the prestigious Shanghai Travelers’ Club, and is now distributed to its members. GERVOIS magazine is proud to follow the steps of the iconic STC magazine, the Club’s own iconic travel magazine that has been published from 2008 to 2017. Founded in Shanghai in 2008, the Shanghai Travelers’ Club is China’s most exclusive international luxury travel club for discerning Chinese global entrepreneurs and executives seeking experiential & authentic travel discoveries. Its 12,000+ members have an average annual income of US$580K, travel overseas on average four times per year, and spend on average US$63,500 per year during their travels. 23% of them have invested in real estate internationally. Excluding their real estate investment abroad, they collectively spend & invest more than US$700M per year in travel related expenses. As the vast majority of Chinese high net worth individuals who travel frequently overseas is now speaking Engligh fluently, the Shanghai Travelers’ Club members felt the need to partner with an English language luxury travel magazine. 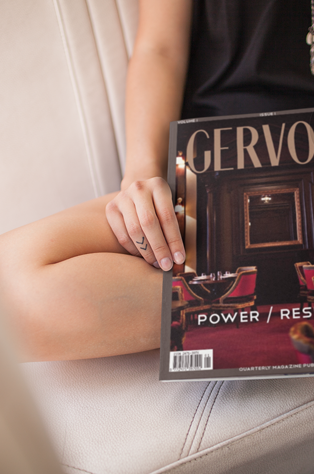 The club has selected GERVOIS magazine for its acclaimed editorial content, featuring exceptional hotels, men’s fashion styling ideas, art investment, real estate investment, and their iconic travel photoshoots made by the New York based famous travel photographer EFDLT studio, Director of Photography. Starting with the Spring 2018 issue, released on March 16th, GERVOIS magazine will proudly partner for the years to come with the Shanghai Travelers’ Club and invite its Chinese members to travel and discover the United States and the World in style. The Gervois rating system is a hotel rating system created in 2016 by Pierre Gervois, the Founder of the prestigious Shanghai Travelers’ Club and frequent traveler in the United States. As Pierre has a following of wealthy Chinese travelers who trust him to choose their luxury holidays in the United States, no doubt the release of the 2018 Gervois Hotel Rating has more impact than the Forbes ratings for the Chinese Elite. “Over the years, I have been disappointed by the numerous existing hotel rating systems” said Pierre Gervois. “Too often, there is a tendency to give too generous ratings to hotels members of luxury hotels chains, and to underrate independent boutique hotels”, he added. Based on these facts, Pierre Gervois has created an entirely new hotel rating system, purely based on the sole merits of each property, considered alone, regardless of its association to a hotel chain, an affiliation program, other rating systems, or online reviews. Every hotel is rated professionally and independently, without any preconception about the property. With 117 rated properties (33 new properties have joined in 2018 the prestigious ranks of the Gervois rated properties), this year’s ratings put a focus on the traveler’s experience rather than on old fashioned luxury. The Broadmoor (Colorado Springs) is still #1 hotel, with 93pts, in recognition of the exceptional quality of service and dining, both unmatched at this level in any other property. Four hotels make a remarked entry in the 2018 Gervois ratings with above 90pts ratings: The Ritz-Carlton Philadelphia (91pts), the Langham Boston (90pts), The Blackstone Chicago (90pts) and the Montana Paws-Up Ranch (90pts). Independent properties with an incredible charm and authenticity make also the cut for the 2018 ratings. Amongst our favorites are Inn at Cuckolds Lighthouse (89pts), The High Lonesome Ranch (88pts), El Cosmico (87pts), Pioneertown Motel (86pts), and Casa Hudson (84pts). As the Gervois Hotel Ratings are famous for their blunt and brutally honest ratings, some hotels get searing and hilarious reviews in 2018, in particular for uninspired decoration and failed interior design. But on a more serious side, some high end hotels are reminded that disrespectful or discriminatory behavior with guests -Chinese or not- is unacceptable and must be quickly corrected through appropriate staff training. “Gervois Hotel Rating is on the discerning, multicultural and sophisticated traveler’s side, not on the hotel booking business’ side” concluded Mr Gervois. The Gervois Hotel Rating rate hotels according to five essential criteria: Location, Building, Atmosphere, Dining and Service, each rated on a 20 points scale. The addition of the points give the final rating, on a 100 points scale. The Gervois rating system is a new hotel rating system created by Pierre Gervois, a NYC based media entrepreneur, Publisher of the iconic luxury travel STC magazine. Pierre Gervois has an extensive experience in luxury hotels and has reviewed countless properties all around the world for the last twenty years. Based on these facts, Pierre Gervois created an entirely new hotel rating system, purely based on the sole merits of each property, considered alone, regardless of its association to a hotel chain, an affiliation program, other rating systems, or online reviews. Every hotel is rated professionally and independently, without any preconception about the property. 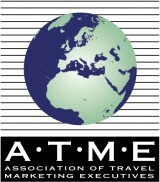 “Most of existing hotel rating & reviewing systems are produced by companies having a direct financial interest in bookings from the hotels they are rating, hence overly positive ratings and an inflation of stars, diamonds, laurels, gold medals and awards that do not always reflect the reality” added Pierre Gervois. In order to achieve a complete independence from the hospitality industry, Gervois Hotel Rating do not receive any advertising revenues or commissions on rooms bookings from hotels, hotels chains or online travel agencies. “Gervois Hotel Rating is on the discerning traveler’s side, not on the hotel booking business’ side” concluded Mr Gervois. This rating system allows a greater precision and flexibility in the complex task of rating a hotel that might have many highlights but also some flaws that need to be clearly designated for a transparent information. 84 U.S. properties have been curated and rated over a one year process, through inspections carefully conducted by a small group of international frequent travelers, all reviewed and validated by Pierre Gervois. “Chinese travelers are incredibly discerning now, and we’ll soon launch a Chinese Mandarin version of our ratings”concluded Mr Gervois.